“God Is Pro Life” proves with irrefutable Biblical and medical evidence that a baby’s life begins at conception. Pro-Choice advocates are proven wrong on Abortion. God is the Creator of all Life and the life of a child miraculously follows a Divine calendar laid out in the Seven Feasts of Israel given to Moses in Leviticus Chapter 23. The Life of Jesus likewise fulfills the 7 Feasts of Israel. 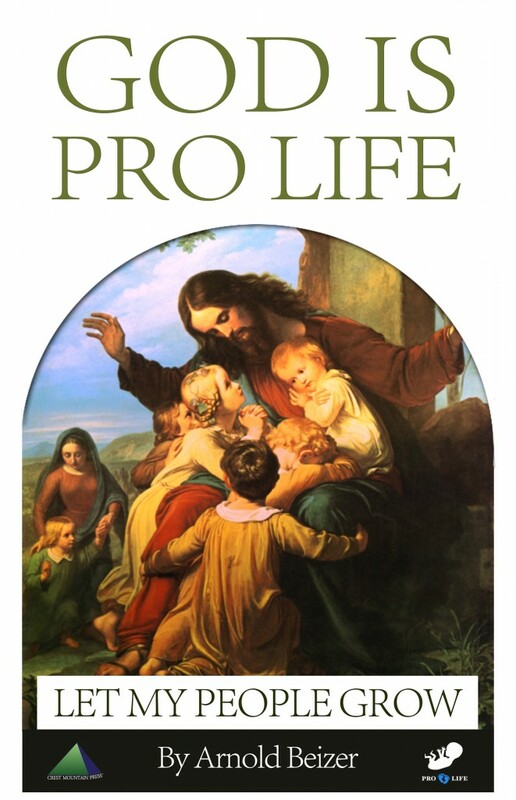 “God Is Pro Life” by author Arnold Beizer is a new concise book now available that proves beyond any doubt with irrefutable evidence that a baby’s life begins at conception. Facts show convincingly that proponents of Pro-Choice on the issue of abortion “rights” have made a wrong choice and are in error. Abortion on demand is against the Law of God and man helping you to Take a Stand. Unjustified Abortion is an abomination to the Lord. Astounding facts and hard evidence prove that God Exists as Creator of All Life, that He has a Master Plan for the Ages, that the Old and New Testaments go hand in hand and are the authentic Words of the Lord. Moreover, the author documents that Yeshua (Jesus) is who He claimed to be, in chapter and verse, namely Messiah and Lord of the Jews and Christians and God of the entire Universe. Biblical, medical and scientific evidence together combine to show that the life of a child begins at conception and a mother’s pregnancy exactly follows by Divine Design the Seven (7) Feasts of Israel given by The Lord to Moses and inscribed in the Book of Leviticus Chapter 23. Amazingly it will be seen that the Feasts are a meticulous and miraculous exposition of how human life begins at conception and proceeds through the process of birthing acknowledging and glorifying the hand of the Lord as Creator of Life itself. The Life of Yeshua (Jesus) is shown to follow exactly the letter of the Law and to fulfill to the day the schedule of the Hebrew Seven Feasts of The Lord.